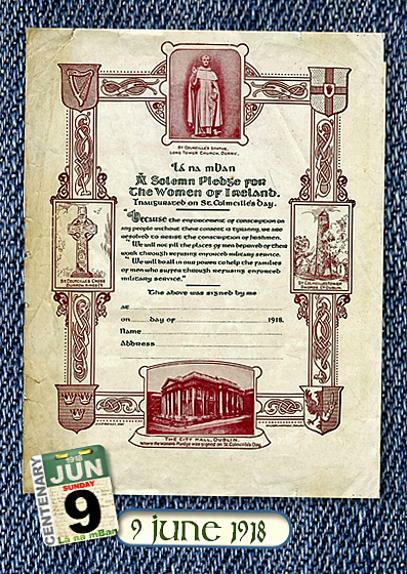 On 9th June 1918, in one of the greatest acts of defiance against the British government in Ireland, the women of Ireland came out in force to take part in Lá na mBan. This was an event organised by the women of Ireland for the women of Ireland to make a stand against the threat of Conscription into the British Army. The event was organised by the IWWU, Cumann na mBan and other activists. In Dublin, at least 40,000 women signed the Women’s Pledge in City Hall, and similar scenes took place all over the country. The result: at least two thirds of the women of Ireland signed the pledge in support of Irish men who might be "deprived of their work through refusing enforced military service". 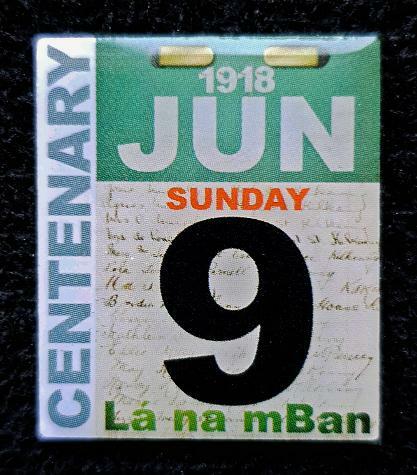 Now this event is commemorated with a specially designed badge which incorporates a calendar block with the dateof Lá na mBan on it, on a background of signatures from the book of signatures for Kilkenny. The badge - which is 25mm x 20mm and has a butterfly clip on the reverse - comes with a postcard of the pledge with a summary of background to it. 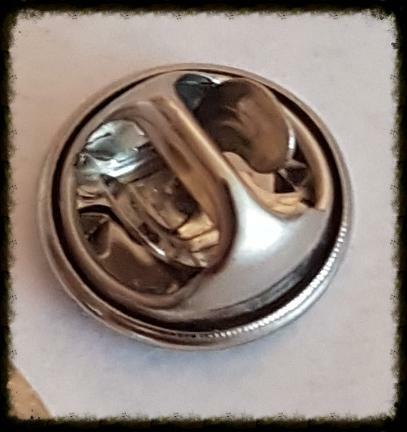 Each badge costs only €5 plus postage.